Veterans typically seek out educational programs with specific pathways to rewarding careers. That makes institutions such as Unitek College especially appealing. 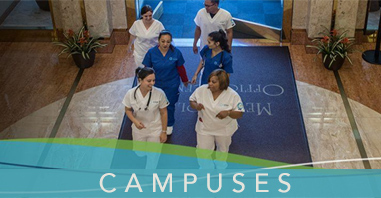 All of their health science programs are career focused in highly demanding fields. The two major education benefit programs for veterans are the Post 9/11 GI-Bill and the Montgomery GI-Bill. The Post 9/11 GI-Bill provides financial support for service men and women with a minimum of 90 days of aggregate service after September 10, 2001. The Montgomery GI-Bill also provides qualifying veterans with educational and living expenses. Eligibility under the Montgomery GI-Bill depends on a variety of factors such as length of service, active duty, reserve duty and education level. For further information about the Post 9/11 GI-Bill, the Montgomery GI-Bill or other VA benefits, veterans should speak with a military benefits officer or a financial aid professional. Unitek College is accredited by the Accrediting Commission of Career Schools and Colleges (ACCSC), a private, non-profit independent accrediting agency recognized by the United States Department of Education. Unitek College offers three convenient locations in Northern California with a campus in Fremont, a campus in Sacramento, as well as a satellite campus in San Jose. 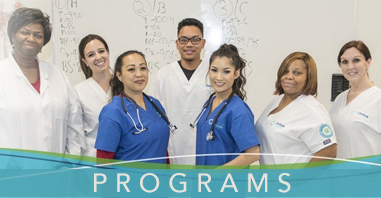 To learn more about Unitek College, and the programs offered at each of our campuses, visit https://www.unitekcollege.edu/ or call toll-free at 1-888-735-4355.